This vanilla sour cream pound cake is an easy cake to make for any occasion. The sour cream gives the cake a melt-in-your-mouth texture and amazing flavor. 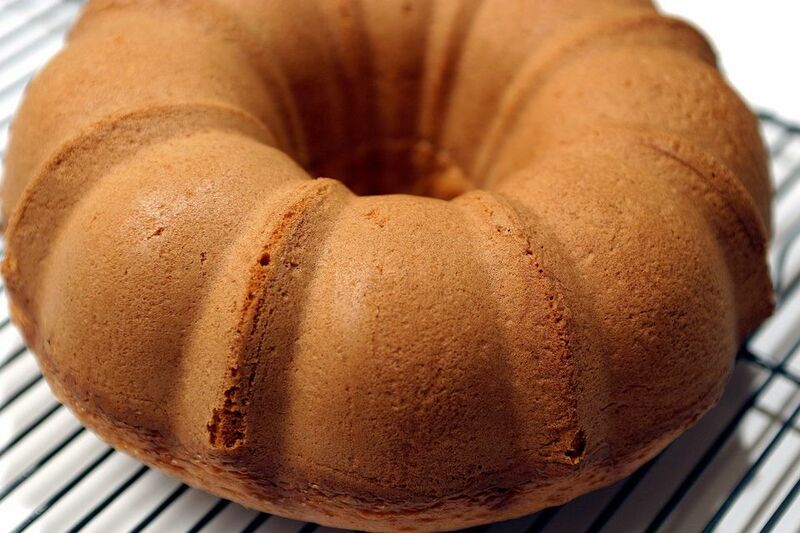 Bake the pound cake in a Bundt cake pan or tube cake pan. Top the whole pound cake with a glaze or serve slices with fruit, dessert sauce, or warmed preserves. A lemon sauce is wonderful on pound cake, or drizzle a​ simple thin vanilla icing over the cooled cake. This easy chocolate glaze would be excellent as well. Generously grease and flour a tube cake pan or 12 cup Bundt cake pan. Heat the oven to 300 F (150 C/Gas 2). Cream together sugar and butter until almost white in color and fluffy, about 5 minutes. Add the egg yolks, one at a time, beating well after each addition. Blend in the vanilla extract and sour cream. In a separate bowl, combine the flour, salt, and soda. Blend thoroughly with a whisk or spoon. Add the dry ingredients to batter; beat until blended. In a clean, grease-free bowl,* beat the egg whites until stiff peaks form. Fold egg whites into the cake batter. Pour into the prepared cake pan and bake for about 1 1/2 hours or until cake tests are done. Cool the cake in the pan for 10 minutes and then carefully invert it onto a cooling rack to cool completely. Use copper, stainless steel, glass, or enamel coated bowls for egg whites. Plastic often has a residue of grease. Spray the cooling rack lightly with nonstick cooking spray to avoid sticking. Cool the cake thoroughly before you transfer it to a cake plate. Egg whites should be at room temperature for best results. The best way to bring them to room temperature is to first separate them from the yolks—eggs separate better when cold—and then let them stand for about 30 minutes. Pound cakes rely on the incorporation of air for their rise. Cream the sugar and butter for about 4 to 5 minutes. Test deep cakes like tube cakes and Bundt cakes with a wooden skewer.